It's 1947. 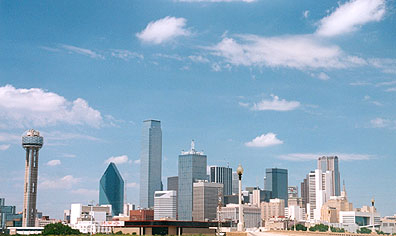 Dallas County Assistant DA David Weather, prepares to prosecute a rich, remorseless killer, known as "the Maniac," while dodging a spurned mistress, an angry husband and a protocol-driven boss. When he meets a beautiful reporter, sparks fly. Then an anonymous messenger threatens his fiancee, while old and new family secrets endanger his job then his freedom and his life. Tricia Allen was born in Indianola, age five. At age eight, she discovered some true crime magazines under her grandmother's bed. She was hooked. 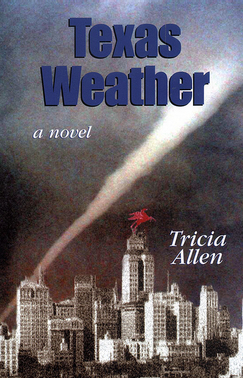 Ever since, Tricia has been an avid mystery fan, and now puts her love of a dark thrill to good use in Texas Weather. Tricia has a BA and an MA in English from Mississippi State University, and is currently a marketing copywriter in Dallas. She is a member of the DFW Writers' Workshop and of Sisters in Crime. Texas Weather was her first book.